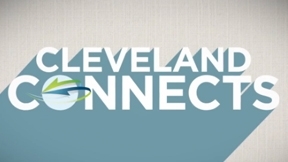 Cleveland Connects is a new project that will present engaging dialogue, community events, and multiple media coverage with the goal of illuminating and advancing solutions on topics important to our region. Topics for each Cleveland Connects will focus on key issues facing the region as identified by The Plain Dealer's editorial agenda and results of ideastream's The Listening Project, an annual effort by WVIZ/PBS & 90.3 WCPN ideastream to identify the things that matter most to residents of Northeast Ohio. Cleveland Connects is a project that continues a community conversation that began in 2001. The Quiet Crisis was an effort by The Plain Dealer and ideastream to spotlight the challenges and opportunities facing Greater Cleveland in the 21st Century. From leadership to the arts, manufacturing to Lake Erie, that 14-part series took a hard look at how the city and region had lost ground. The Quiet Crisis and Cleveland Connects showcase a fundamental role of ideastream and The Plain Dealer: To hold a mirror to the community - and to challenge it to do better. Cleveland Connects - Banking on BioTech?